The Grand Hyatt features a 400 m beach, recreational facilities that include 3 outdoor pools, a 25m indoor lap pool, and a fully equipped Fitness Centre. 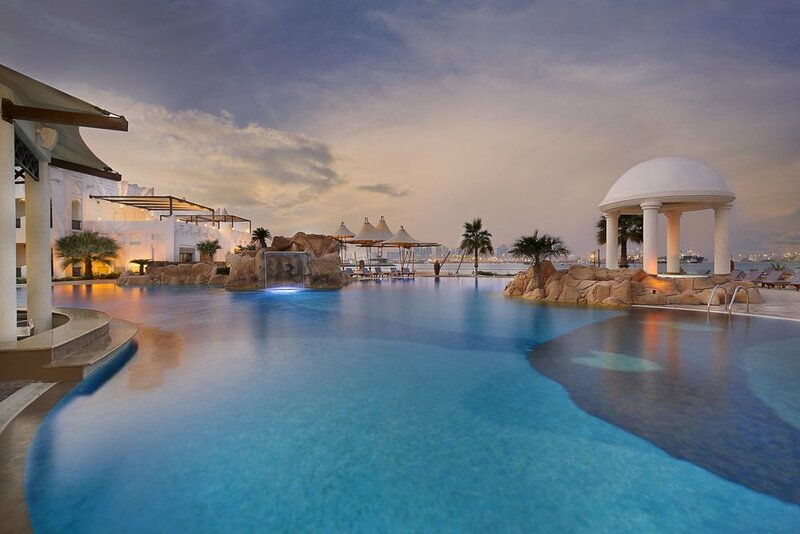 Stunning setting and design at the Ritz-Carlton Doha, offering indoor and outdoor pools day pass. Perfect setting for your relaxing time at the Marriott Doha pool day pass experience. Hidden gem, the Ritz-Carlton Share Village pool and beach area is a delight.